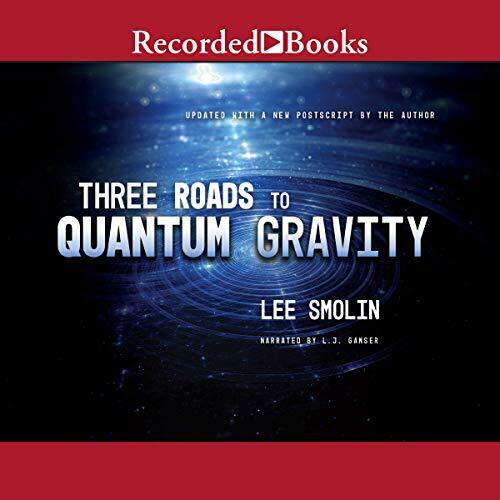 In Three Roads to Quantum Gravity, Lee Smolin provides an accessible overview of the attempts to build a final "theory of everything." He explains in simple terms what scientists are talking about when they say the world is made from exotic entities such as loops, strings, and black holes and tells the fascinating stories behind these discoveries: the rivalries, epiphanies, and intrigues he witnessed firsthand. Written with exceptional style and clarity, Three Roads to Quantum Gravity confronts the deepest questions of the nature of the universe and provides a preview of some of the remarkable scientific developments we can look forward to in the 21st century. I first came across the author Lee Smolin through his 2006 book, The Trouble with, which I thought deserved merit, because it highlighted the detachment of modern particle physics from reality and criticising the ever elusive and continuously evolving mathematical hypothesis of string theory. I had purchased this book without realising it was written prior to his 2006 book. It becomes quite evident that the author is struggling to reconcile theories which are not testable and therefore unable to be falsifiable. Can science produce work that no one can conceive experiments for testing them. In this book Smolin is still optimistic, but what else can a person who spent most of his life think. I believe there is more hope than reality. Physicists are satisfied with mathematical theories that explain reality and less concerned with experiments at this scale. The book explains three roads to quantum gravity, an effort to unify quantum theory with relativity, but the roads could very well be more than three, and very long indeed before any unifying theory can be experimentally tested. The author writes well on subjects that are usually nearly impossible to understand, and for this I must give him credit. Recommended to those that want to understand today’s complicated physics without mathematical knowledge. I found this too rambling for my taste. I only listened for 2 hours, maybe it became more focused. Listening to this audio book was an overall good experience. It was good to finally find a popularizing book offering an alternative quantum gravity theory (other than string theory) . However, this book is mostly about this theory (loop quantum gravity -lpg) and does not cover the other two theories the title suggests on equal footing. This was actually good for me since I was ignorant about lpg and was already familiar with string theory. Also since there is much less popularization and followers of this theory I would have liked a longer and more detailed book. Regarding the content, the author offers a convincing argument about a background independent quantum gravity theory and highlights the relational nature of general theory of relativity. Despite the apparent bias of the author towards lpg, which he acknowledges as a cofounder, I appreciated that he emphasized that these theories still remain incomplete and at best well motivated speculations in the absence of experimental evidence as of today. The narrator was pretty good too.